This is a listing for 7 SETS. Each bracelet will be individually wrapped in a personalized gift gox. The TINY and delicate sterling silver charm is 8mm, including the loop. The pearl bracelet comes in a natural gift box, with a personalized scalloped gift tag in ivory. The gift tag has scalloped edges with an antiqued look. Every gift tag is made by myself and a little rhinestone is handplaced in the middle. 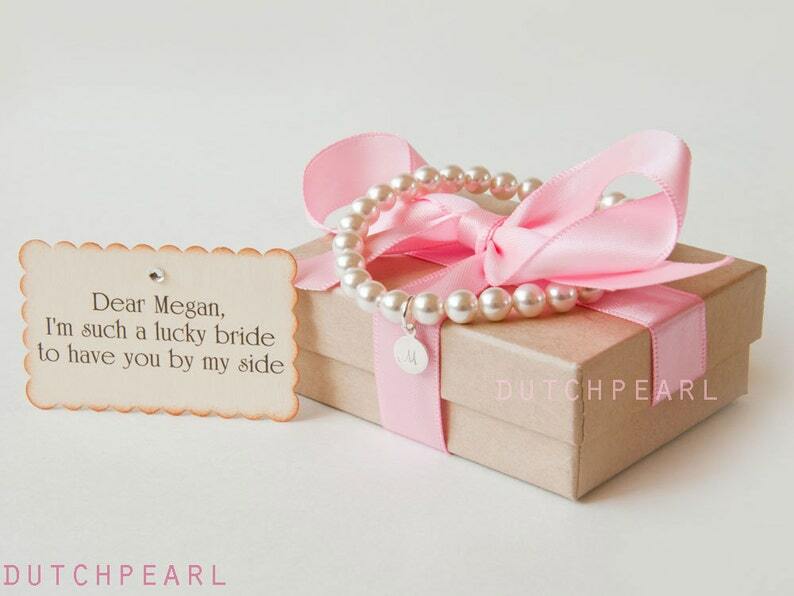 The bracelet comes in a natural gift box with a satin ribbon of your choice.